It’s only been a couple months since the ground-breaking launch of Lemonade— and no, I’m not talking about Beyonce’s new album. But if you ask me, the company Lemonade is the Beyonce of the Insurance world. As Shai Wininger, the co-owner, and co-founder, says: the user’s entire experience with insurance using Lemonade is entirely automated. Everything from submitting a claim to accepting an offer is mobile, simple, and fast. Just like the best song on Beyonce’s album, you may be thinking “Hold up, how did they manage to get this going?”. After coining the term “Peer-to-peer Insurance” and taking a very innovative approach to doing business, Lemonade plans to take on deeply rooted players in the industry. They aim to flip the traditional insurance model on its head by not taking ownership of the premiums paid by their customers— whatever their customers pay is still treated as if it’s their money! Their philosophy is to break free from the negative connotations people have with insurance, and instead, inspire trust. They do so by giving their customers more transparency and taking a flat rate— donating whatever money is left over! We recently wrote about the ramifications P2P insurance will have on the insurance industry long-term in our article “The 4 Biggest Emerging Insurance Trends and Its Implications”. 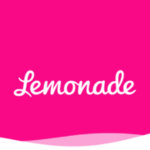 Lemonade’s innovative online platform goes without the need of brokers. While dealing with a broker can be reassuring for some, others have issues with the self-preservation and greediness in a zero-sum game that is sometimes associated with insurance. Due to the nature of commissions and the payment structure involved in the industry, consumers are wary of brokers who are looking out for their own bottom line. With Lemonade, these worries are mitigated with an online process. 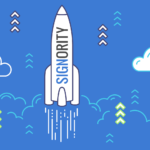 Keeping overhead down, they’re able to be more transparent with their revenue model— using a simple flat fee! Lemonade aims to solve the key intrinsic and structural problems that plague the insurance industry. Traditional insurance companies have a conflict of interest at the core of every sector. As Lemonades CEO and co-founder Daniel Schreiber explains, “most Americans view insurance as a necessary evil rather than a social good, and that’s something we’d like to change”. Lemonade focuses on improving the overall user experience by making their buying process easier and less expensive. As mentioned, technology plays a huge role in their capabilities of providing a unique service. This has allowed them to exponentially speed up the entire process while making it more convenient and decreasing production costs. Through this, they have the ability to reduce premiums, build trusting customer relationships, and use algorithms for underwriting. Unsurprisingly, 80% of their customers are first-time insurance buyers who previously would rather have gone without insurance than purchase from a traditional company. As previously mentioned, Lemonade doesn’t make a profit on non-payment claims. So where does the money go? Charity, of course! They are a Public Benefit Corporation and certified B-Corp. Unlike other companies, their social impact is not a marketing tool, but an integral part of their legal mission and business model. Lemonade only pockets their customer’s flat fees, and the rest goes to a charity of their choice. Customers are grouped by the claims they support, while the company will pay claims for either the customers or the charity of their choosing. For customers, this is a huge incentive and helps improve the company-client relationship. Customers feel reassured and more trusting towards their insurance providers, which will continue to build long-lasting and meaningful relationships in the future. Lemonade is entirely supported by and built upon revolutionary artificial intelligence technology. Customers can send their quotes to Maya, an artificial intelligence bot, who will craft personalized insurance almost instantaneously. She removes the long and complicated process, and makes it almost enjoyable! Since the basis of Peer 2 Peer insurance relies on a common pool of money, start-ups like Lemonade may be seen as a risk— what if the money pooled is not enough to cover certain expenses? Lemonade has mitigated this worry by reinsuring itself with some of the biggest reinsurers in the industry, such as Lloyds of London, XL Catlin, Berkshire Hathaway’s National Indemnity and much more. As Schreiber explains, through this Lemonade will be both “willing and able to pay your claims”. Lemonade took a big gamble with their launch, as is the case with any start-up that tries to re-write the status quo. But without a doubt, the launch was a tremendous success. Within the first 48 hours 36,000 people visited their site, and more importantly, Lemonade had a conversion rate of over 15%— which totaled over 140 policies sold and raked in $14,300 in gross written premiums. This initial success doesn’t seem to be slowing down, as customers from all over the world have sparked interest. The company has even begun looking into expanding their operations across the United States. More surprising is the wide demographic of customers they attracted. With expectations of a higher ratio of young tech-savvy users, Lemonade was shocked to see that a large number of customers were over 55 years of age. Lemonades “switching” feature helped entice these older customers by allowing them to cancel existing insurance contracts, obtain a refund, and then sign a new digital contract with Lemonade— all with the click of a button! Brokers, don’t panic! Considering the complexity of insurance products, humans won’t be completely replaced by AI just yet. Lemonade can act as a bridge between automation and human, as certain types of insurance need different selling techniques, and the welcoming comfort of a machine doesn’t quite equate to that of a human. Insurance brokers biggest differentiator will be their ability to create, nurture and maintain relationships— a vital part of successful insurance. Lemonade has succeeded in disrupting the age-old insurance industry. They have definitely opened the door for further development, and started a very promising future! Schreiber and Wininger noticed the lemons of the insurance world and made Lemonade.